The heavyweights might have stolen the thunder from other teams, but nevertheless, these teams have their prospects and right to rejoice, outperform and break stereotypes. The teams in Group H are somewhat reliant on their superheroes. Each of these heroes have woven their own story and nothing less can be expected from the players at the highest discretionary level of football. Talking about individual talent, Group H is blessed with a few. James Rodriguez, the winner of the golden boot for 2014 World Cup, will be expected to steer Colombia to another quarter-final, or maybe higher. Polish international Robert Lewandowski will hope to replicate his goalscoring exploits for his country. Senegal star Sadio Mane is fresh off a scrutinizing defeat at the hands of Real Madrid. His silver lining being the goal scorer of Liverpool, and fans will look upon him to orchestrate the attacks in the same way that he did for Liverpool. Despite being headlined by James Rodriguez, Colombia know their squad depth can be useful when they are testing deep waters. Goalkeeper David Ospina will be expected to keep out shots, and the defence can now be considered watertight with Colombia having Davinson Sanchez and Yerry Mina. Sanchez has been a rock in the backline of Spurs’ back four and has the ability to build play from the back. Yerry Mina can also be expected to do the same, Mina was recently chased down by Barcelona for his defensive capabilities, and the composure to distribute the ball to his teammates. The midfield of Colombia is lined up with powerhouses in the form of James Rodriguez and Juan Cuadrado. Cuadrado can be expected to run up and down the flanks, going past defences. James on the other side represents the creative aspect of the midfield, where he will be the game-maker, and can also act as a finisher if required by Colombia. At the tender age of 22, James had scored 6 goals in the tournament. James realizes that he is on the verge of transforming himself into a reliable world-class player and can lead Colombia to new heights with the golden generation of Colombia now gearing up for the showpiece. Upfront, Colombia will be relieved to see Radamel Falcao as their forward option. Falcao was injured with a ligament injury which had him ruled out for the previous World Cup. It is probably his last chance to shine at the World Cup, and the Colombians would be praying to witness the magic which was once performed by “El Tigre”. His theatrics will also be supported by Bacca and Muriel. Both are more than handy reserves and once in full flow, can disrupt well-organized defences. Bacca and Muriel have played their trade in the Spanish League, thereby making them aware of a well-orchestrated passing game. Poland can be more than awkward customers for any footballing nation, as they have a well disciplined and assembled squad. Ranging from their shot-stopper to their forward line, Poland have the necessary attributes and skill set required to move further ahead in the tournament. Poland have a decent squad, and considering their run to the World Cup, we can see that there is no stopping the goal-scoring prowess available at their disposal. When you are called upon to fill in the void left by Gigi Buffon, you know you have the ingredients to make a world-class keeper. Szczesny will be wearing the number 1 jersey for Poland, keeping the goals at bay. A well-tuned defensive line is awaiting the opponents of Poland. Glik and Piszczek will be the highlights of the Polish defence. Certainly well accustomed to stopping attacks in very diverse footballing mechanisms, both defenders have experience and raw power required to carry out the duties. Glik, playing in the Monaco side has certainly seen his fair share of European nights and attacking versatility in French football, and this is the right moment for him to step up. Lewandowski is Poland’s all-time leading goal scorer. His recent injury concerns are causing some fear and tension amid the squad; however Polish representatives expect him to play some part in the World Cup, provided he comes back from his injury in time. Piszczek, playing for the Dortmund has made the Full-Back position his own in the squad and much will be expected from him to act as the glue holding the defence. The midfield will be stacked up with powerhouses in the form of Krychowiak and Blaszczykowski. Krychowiak has a commanding presence in the midfield. Not only would he provide a cover to the defence line, his distribution capabilities will be put to test. His attributes of being a box-to-box midfielder are something which the Polish side would crave for as he can break the gameplay created by opponents in their midfield. Blaszczykowski can be expected to operate in the flanks making the runs and always being available at the spur of the moment to score for the Polish side. He has the pace to burn and his team playing spirit is something that will be truly appreciated by Adam Nawaka. When you have the highest goal scorer in the qualifying stages at your discretion, you know the goals won’t dry up. Robert Lewandowski will be expected to lead Poland from the front and be available for Poland in crucial games across the whole tournament. A player worth watching will be Milik who can be deployed together with Lewandowski if needed. Playing for the Napoli side, he has shown that he can unlock defences at his own will. Both the forwards are typical strikers who prefer to stay in the box, thereby converting the chances which are fed to them. Therefore, one can expect curling crosses being converted into goals if the strikers are deployed together to generate extra firepower. Senegal are one of the few teams across the entire tournament which have fast-moving forwards, and have a lot of pace to burn as and when required. Their captain Sadio Mane will be expected to add creativity and bang in the goals too. The extra pace means that they are a team which have a potential to create blazing counter attacks if their opponents are not aware. Diallo will be the most preferred option by Senegal between the sticks. However, it is the defence which will be expected to do all the hard work. Koulibaly headlines the Senegalese defence. His spell at Napoli has not only won him praise and attention alike, it has also caused the hope and the burden of defence to land on his shoulders. Nevertheless, he has to be at par if he has to stop attacking forces such as that of Colombia and the Polish juggernaut, Robert Lewandowski. Ndiaye and Gueye form the base of the midfield. This means that Senegal fans can expect hard crunching tackles on their opponents. Both these midfielders lie deep within the field and can be expected to ramp up their game when required. Their agonizing presence and their ability to hold the ball in their possession is something which will come handy for these players. Moreover, their long ball playing attributes are a bonus as these passes will be useful in allowing their forward line to make vehement runs across the field. 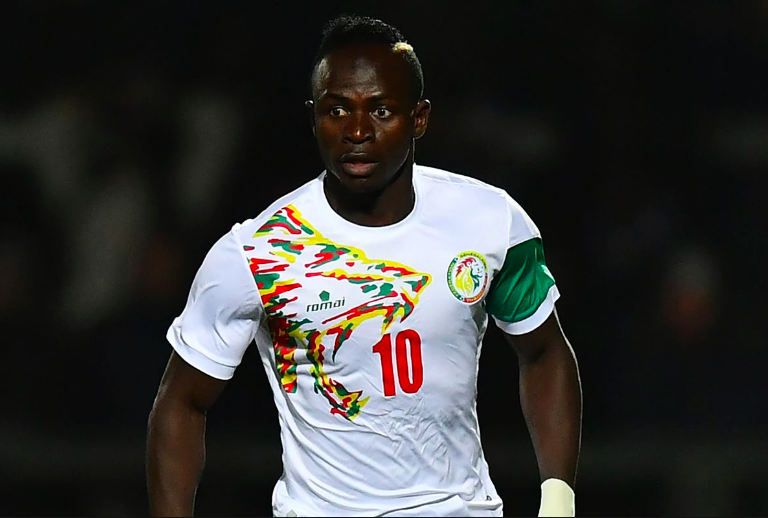 The forward line of Senegal is packed up with Sadio Mane, Balde Keita, Niang, and Sarr. Mane will be expected to take the central role in the field where he will be pulling the strings. Balde Keita, at the ripe age of 23, will be soaking up all the pressure and ecstasy as this is the opportune moment for him to shine. The last World Cup saw young stars being snapped up by the bigger clubs of football, and if Keita is to consider a change in his career, the moment is his to grab. Senegal have a young line-up with all their wingers at an average age of 24. The goal threat role will be played by Diouf, and it is up to Aliou Cisse as to how he shall utilize the pace which he has to burn. However, in his managerial stint with Senegal the team has drawn 3 matches and lost on 1 occasion, of the 4 matches where he was in charge. Cisse will have to change tactics and fortunes if Senegal are to perform in this World Cup. The Japanese national team have done everything right to reach the World Cup. And the players in their squad underline the fact that they are opponents which cannot be taken lightly. With free-kick master, Keisuke Honda, and Shinji Kagawa as their midfield engine, they can expect some agility and class to be displayed by these players. Upfront, Shinji Okazaki has been re-writing history with Leicester City. His partnership with Jamie Vardy saw enough defences crumble down with pressure, and the same exuberant force and raw pace can be utilized by him to break down the defences of other teams in the group. 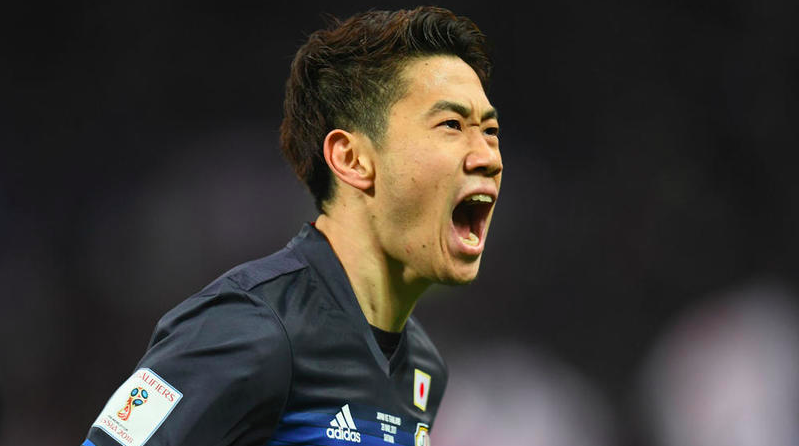 Kawashima will be the preferred choice in the posts, however, one can expect Nakamura to play some role in the World Cup this year as he looks to be the future no.1 for Japan. Japan also have a sturdy defence which boasts of some European experience too. Highlighting the defence is Nagatomo, who has tons of experience with Inter and Galatasaray. Now at the age of 31, his peers will be looking up to him to lead the backline. The preferred Centre-Back pair will be Yoshida and Sakai. Sakai, part of the Marseille squad, had shown exemplary form and discipline which lead them to the Europa League final, only to be decimated at the hands of Atletico Madrid; Griezmann in particular. Yoshida, playing with the Saints in the Premier League has experience in terms of hard crunching tackles and robust gameplay tactics. This can be fruitful for him as he can be the tower of defence needed at the back. The midfield of Japan is graced with Shinji Kagawa and Keisuke Honda. Kagawa can be expected to make runs through the defence with his agility and speed. Playing in 91 games for Japan, he has scored on 29 occasions and assisted 18 times. This emphasizes that he is a team player and can turn on the thrusters when necessary. Honda will be another player to watch out for. His small stint with Milan saw him earn some praise and suitors. However, with age catching up, he decided to move on to the Mexican League. But his age and league game results cannot be the deciding factor for him as he has 36 goals and 24 assists to his name while playing for his nation. Honda will be hoping to bow down in style and inspire the coming generations of Japanese footballers. The role of the finisher will be given to Okazaki. Okazaki has transformed himself into one of the lethal poachers of the game. With the World Cup in sight, Okazaki will be expecting to replicate the form and goal-scoring prowess which he showcased last season with Leicester City. Unlike Leicester City, he will have to bear the burden of completing an attack. However, this pressure can be suitable to him as he can play the independent striker in the formation deployed by Japan, giving him more freedom and space to perform. 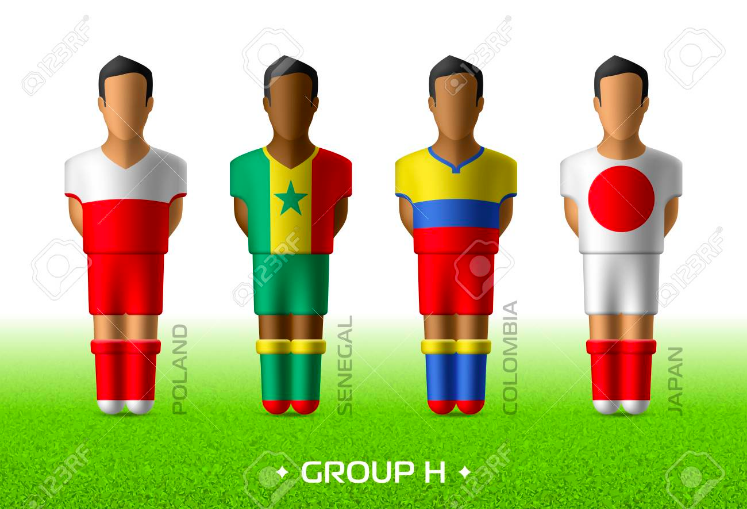 Colombia will be the frontrunners of Group H, simply because of the fact that their opponents in the group stage do not carry the same firepower and pedigree required to topple them off. The defensive stability now at the back also affirms that Colombia are a team which can be expected to go deep into the World Cup. The likes of Sanchez and Mina provide stability and make the defence watertight. 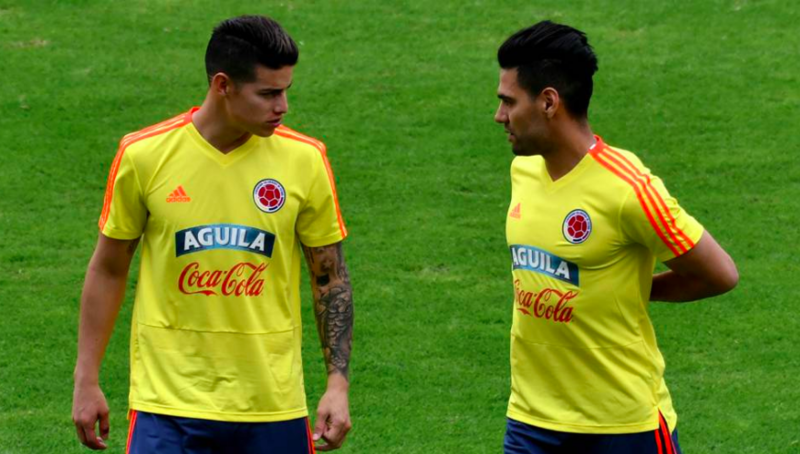 The forwards of Colombia; James and Falcao, will be goal threats. Colombia should be moving ahead with Poland to the knockout stages in the World Cup. Poland too have players which are more than capable of changing games. With Lewandowski as the primary striker upfront, Poland know for sure that scoring goals will not be a problem. Szczesny is coming back from a good season, and has been chosen to replace Buffon at Juventus. It is the apt time for him to prove his critics wrong by showcasing a fantastic run of form with Poland, thereby helping Poland to qualify into the knockout stages.